You’ve probably heard about morning meditation, but why do you actually need it? I can’t tell you the number of times I’ve asked a friend how they were doing and heard “busy” as the response. Everyone I know is busy. I’m busy. There are a million things demanding our time and attention every single day. I think most of us spend our time running as fast as we can just to keep up. With schedules like that, is it any wonder that the American Psychological Association reports that nearly all adult Americans are suffering from moderate to high stress? We’re overwhelmed, and I think that most of us struggle to cope. So what can we do about it? This question finally prompted me to start a morning meditation practice a few months ago, and I’m not exaggerating at all when I say that it has changed my life. I’d heard about the benefits of meditation for years. I have a brother-in-law who swears by it. My father regularly recommends books and articles about meditation. One of my business mentors whom I deeply admire is a huge advocate of meditation. But despite all these positive influences around me, I didn’t really take meditation seriously. I bought into a lot of the myths, and I let that hold me back for a long time. The simple truth is that meditation is good for you. Yes, you. You don’t have to be a yogi or a monk or a deeply spiritual person to see dramatic benefits from meditation. It’s good for powerhouse career women and stay-at-home moms. It’s good for businessmen and doctors and lawyers and tech gurus and video gamers. It doesn’t matter who you are or what you’re into, you can benefit from meditation. Here’s how it works: the act of meditating causes the pituitary gland in your brain to secrete endorphins. We know about endorphins. They make us feel good, emotionally and physically. Meditation also enhances activity in the area of your brain that’s associated with positive emotions and experiences. Some studies suggest that meditation helps combat depression and anxiety, while others say that regular meditation may improve pain tolerance. You can meditate at any time of the day or night, but research suggests that the ideal time to meditate is first thing in the morning. The benefits of meditation are enhanced when your mind is free and clear before the stresses of the day have crept in. One of the biggest myths about meditation is that it takes a long time. 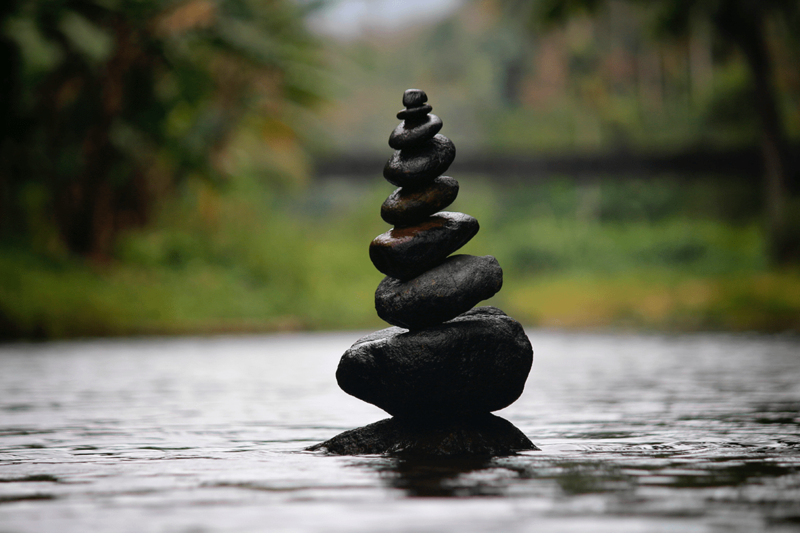 You can meditate for a long while, absolutely, but you don’t have to. You can meditate with whatever time you have, even if it’s only five minutes. Personally, I’ve been meditating for ten minutes almost every morning for the past three months, and these are the biggest benefits I’ve seen in that time. It sets a tone of calm for the entire day. I used to wake up, turn off my alarm, and immediately pick up my cell phone. This plunged me right into my to-do list for the day, so that within a few moments of waking up, I was already busy and on the path to overwhelm. 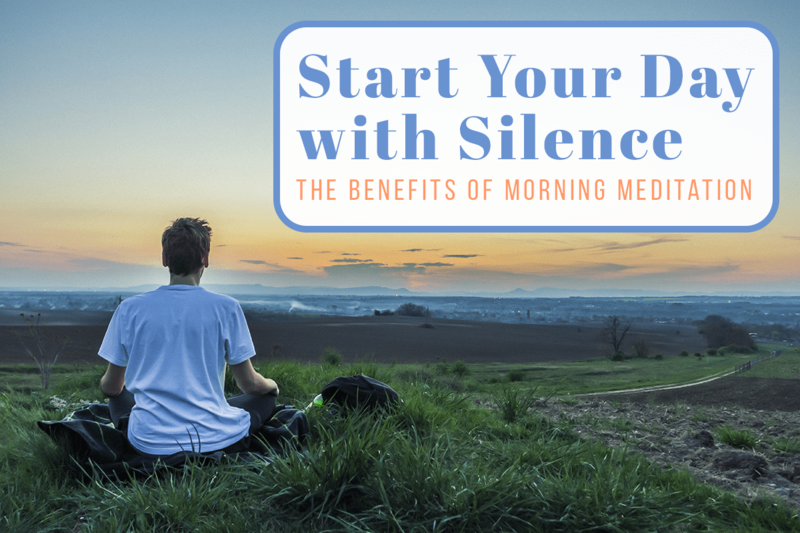 Within just a few days of putting morning meditation first, I found that it helped me start the day much more peacefully. That feeling of calm and control didn’t just last through the morning. It carried through the rest of my entire day. It gives me more energy. The endorphins released by meditation aren’t just good for your emotional well-being. They’re also energy boosters. Morning meditation makes me feel more awake and alert. I’ve also noticed that I drink less caffeine throughout the day, which means there’s no midafternoon energy slump. It builds focus. This one came as the biggest surprise to me. Having ten minutes of silence and stillness each morning allows my subconscious mind to do good work behind the scenes, which means that I go into each day with a clear focus on what my priorities should be. I’ve been able to maximize my productivity because morning mediation gives me so much direction and clarity. It gives me an overall sense of well-being. My life hasn’t really changed much since I started meditating. I have the same demands on my time, and my to-do list can still be kind of overwhelming. What has changed is the way I feel about it. I feel capable of handling everything on my plate with grace and poise. I feel an overall satisfaction with my life. I’m a happier person because of morning meditation. 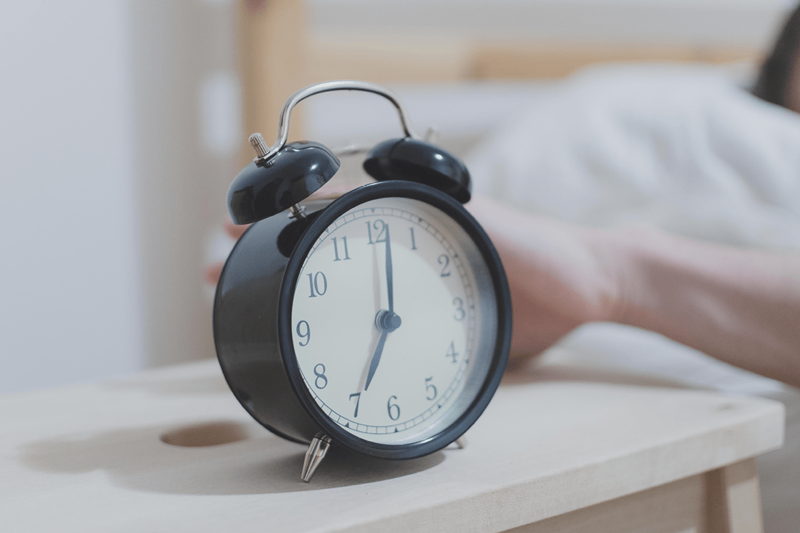 Set your alarm to give yourself enough time. For me, this means waking up 5:45 instead of 6:00. Get comfortable. Wear clothing that fits you without tugging or pulling. Make sure the temperature is right so you can sit quietly without being too hot or too cold. For me, I’ve discovered that part of being comfortable is brushing my teeth and putting my contacts in before meditating. I spend about five minutes on those tasks first so I can sit quietly and focus instead of fidgeting. Choose a place where you won’t be disturbed. It’s important to meditate in a quiet space where no one else will come in and interrupt. It would be cool to have a space that’s solely dedicated to meditation, but for most of us, that’s not reality. Just find any quiet place in your home where you can meditate in peace for a few minutes every morning. Find a technique that works for you. There are as many ways to meditate as there are people, and none of them are “right.” You just have to find the one that’s right for you. Personally, I use an app called Headspace. It has short, guided meditations, and it works perfectly for me. Some people meditate by focusing on their breathing. Others repeat mantras. Some people combine meditation with yoga. There is no right answer; there’s only what’s right for you. Remember that meditation is something you practice. It’s probably not going to come easily right away, and that’s okay. It took me some time to get good at meditating, and there are days when it’s still hard work. That’s life. When it comes to meditation, we’re all just practicing. Look, I’m not a morning person. I really, really love my sleep. When I first started thinking about morning meditation, that extra ten minutes felt like a lot to ask–maybe even too much. However, I committed to making it part of my morning routine, and it only took a few days of doing it to completely convert me. I love the ten minutes I spend meditating each morning. The peace and clarity it gives me is incomparable. I feel like I have control of my life, and I’m so much less overwhelmed despite not being any less busy. It’s not an exaggeration to say that morning meditation has changed my life. Try it. You won’t be disappointed. I started meditating two weeks ago before sleeping and, wow, now I feel completely different! Full of energy, happy, no painful headaches. I just can’t stop telling people to meditate too. It’s sad that some say they’re busy when with only 10 minutes, you can relax yourself really well. This is an awesome article, Shelby! I took on morning meditation after reading the book Miracle Morning. Getting used to meditating first thing in the morning was a real task. I’d still be half asleep most of the time and I fell back to sleep while sitting in my meditation spot more than once at the start. The problem was that I was using my bedroom as my meditation spot and just being in there made triggered my brain to go back to sleep. Once I started meditating in a different place, it made a huge difference. So, another tip for everyone: try not to do your morning meditations in your bedroom if you can help it! Thanks so much for sharing that piece of advice with us all Juliette!